So beautiful. Love the images and the words. What beautiful colours! amazing shot of them fighting! Such a beautiful passage/poem...and beautiful shots. Well, you have done it again! Astounded me, that is! AWESOME! Each feather detailed with iridescence, like those of a peacock. The eyes...the green leaf, everything perfect. You are a master with the camera. They are so beautiful and your captures are fantastic, Reena! Wonderful to be able to get shots like this! Hope your week is off to a great start! 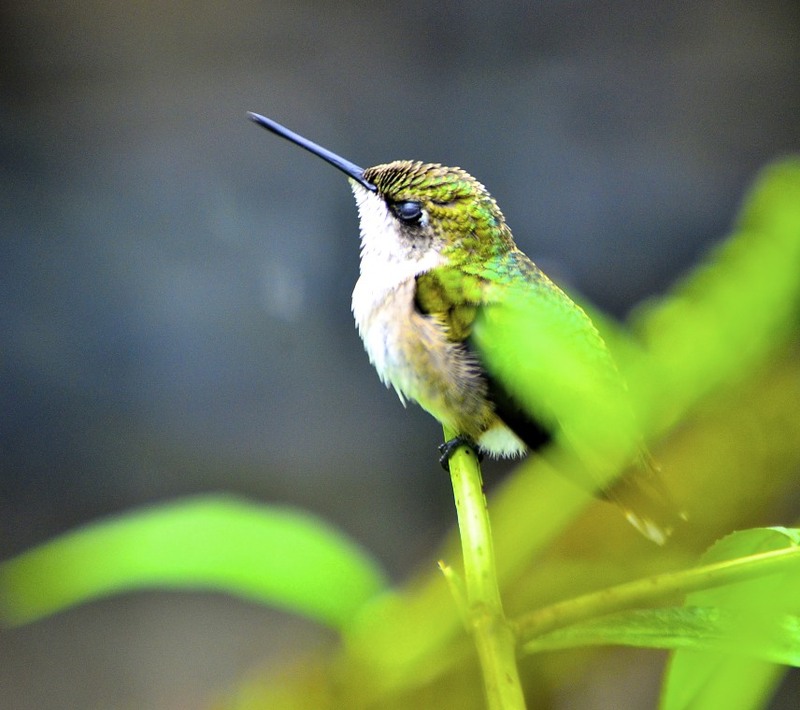 I am SO SO jealous of your hummingbird shots!! They are just amazing!! Don't even ask how many I've taken of the hummingbirds here that haven't turned out--Actually I've lost track! I hope you've had a good day!! I just adore the grey background. It allows the green to just take center stage and I love the composition of the first few... Wow. 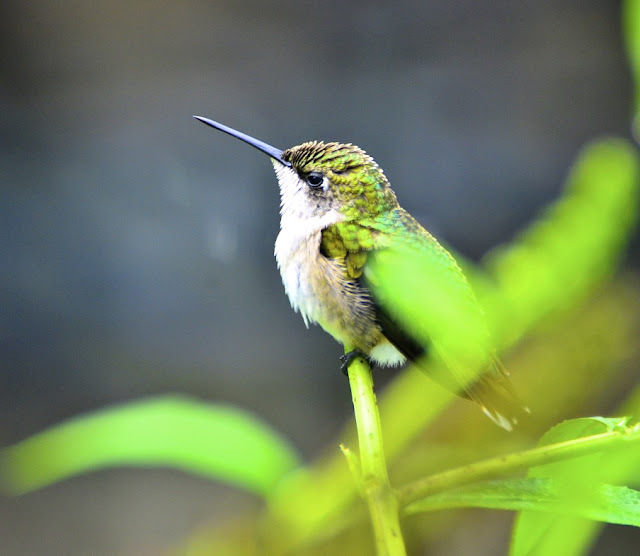 Thank you for the up close and personl shots of that little hummer. I have just sit here and studied his little wings and all the colors of green. Just really beautiful how you captured those shots. jealous?? you bet!! these. are. amazing!! The inflight dogfight photos are amazing. I can only imagine that you were rapid firing shots holding the shutter release button down. Very nicely done, and something I'll remember doing in the future...if I am quick thinking enough. Sooo cute!! love that birdie!! 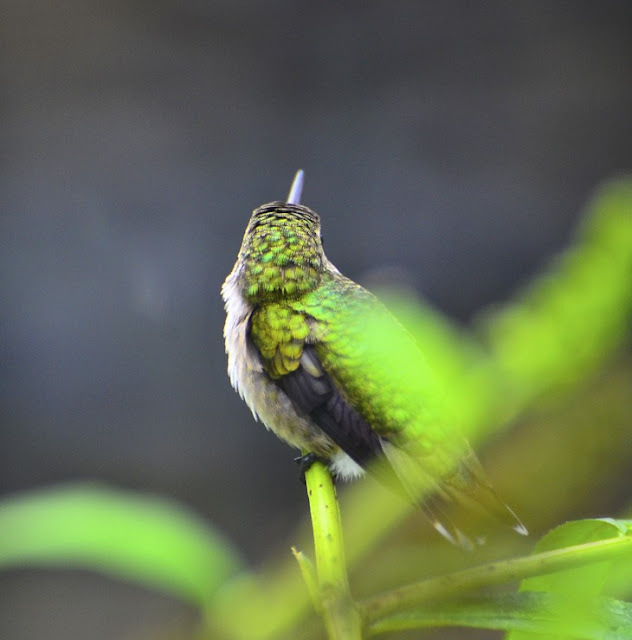 Beautiful hummingbird and I love the way you put words together Reena! ohhh! such beautiful shots. Makes me feel teary. 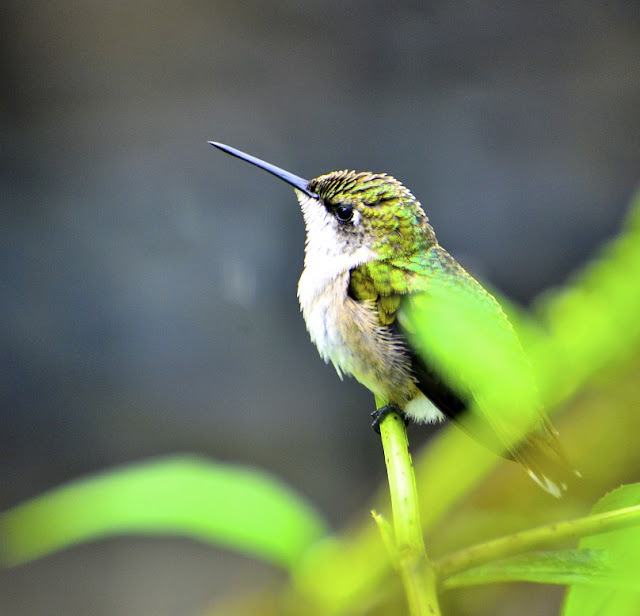 I love little hummingbirds.. and this little fella's little eyelids are so precious! We have a feeder right outside our kitchen window. Sometimes there are 2 or 3 standing guard against each other. This makes me feel emotional- your words and photographs are wonderful! 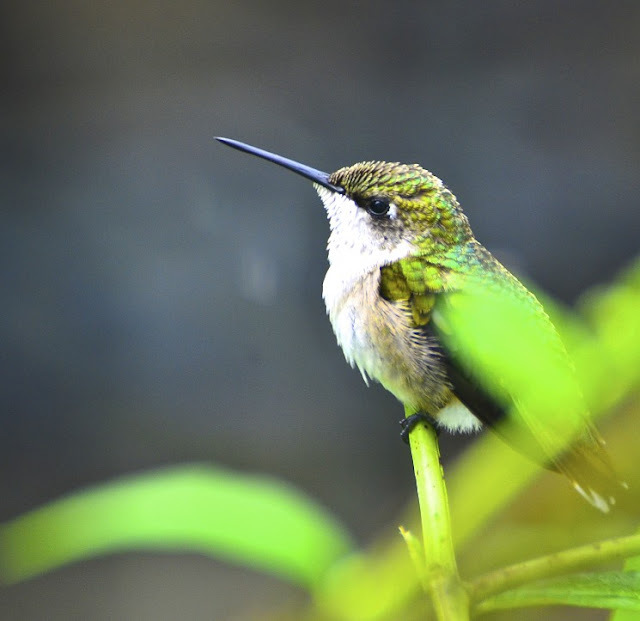 Beautiful images, I love hummingbirds. Oh the green . . . in your ever astonishing series of shots. Nice series, they have great colors. My longest lens is 100mm, which spooks the little buggers when the shutter actuates. Hmmm, sounds like I have a feeble excuse for a new lens. Great photos! Love to watch these little guys! 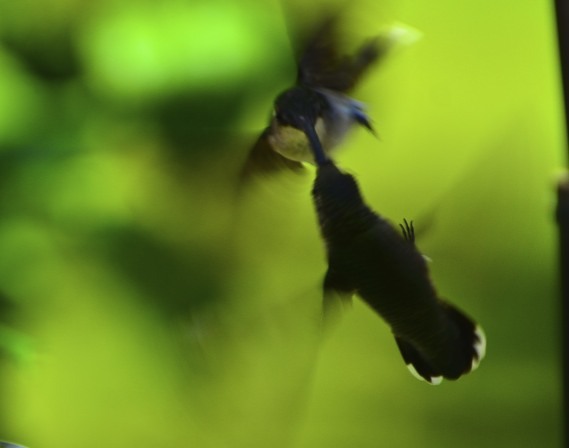 You managed some really nice shots of the hummers. They are so quick. I enjoy watching them argue over the nectar. Your just amazing with that camera, great shots. 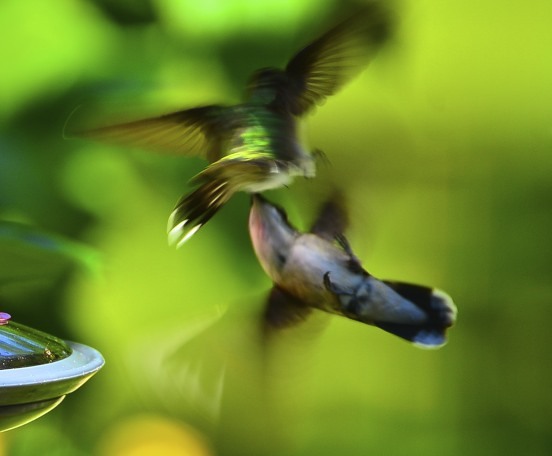 Brave and fierce little hummingbirds. It's amazing how ferocious they are, for their size. I just wonder how long it took you to catch that sequence? It's spectacular. Beautiful photos. 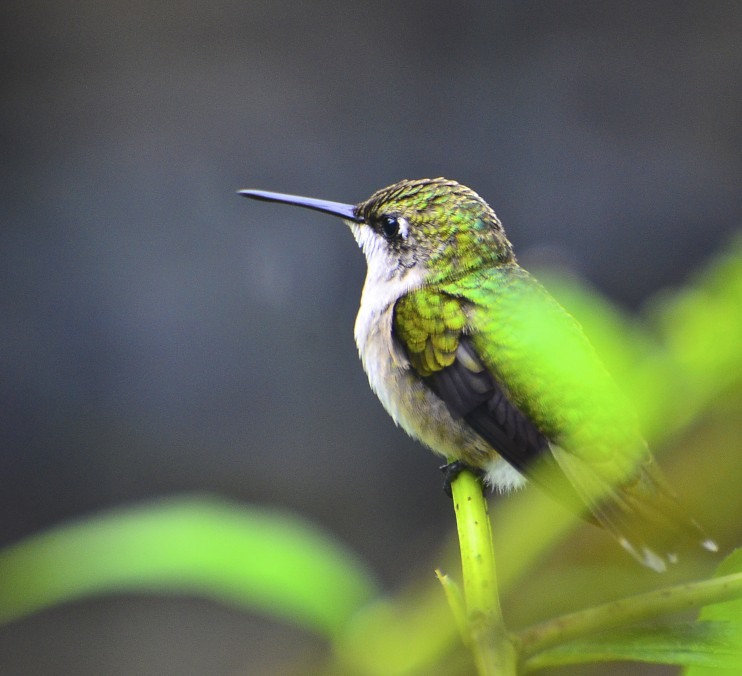 I don't think I've ever seen a hummingbird sit still long enough to take a photo of it. Fantastic shots...they are so adorable ,but sure can be can be pretty fierce and territorial!! that looks pretty amazing (the last pic)! very good that you could capture that! You have quite the way with words, my friend. And I believe you aced that wing fluttering shot! Brava! Glad you stopped by my blog and left a comment. I have glanced through some of your recent posts and see that you are a talented photographer. I look forward to visiting again. I love the green hue on those images, well done. Richard from Amish Stories. i dont think i have ever seen one in real life. great shots! Wow, you look and see SO well! 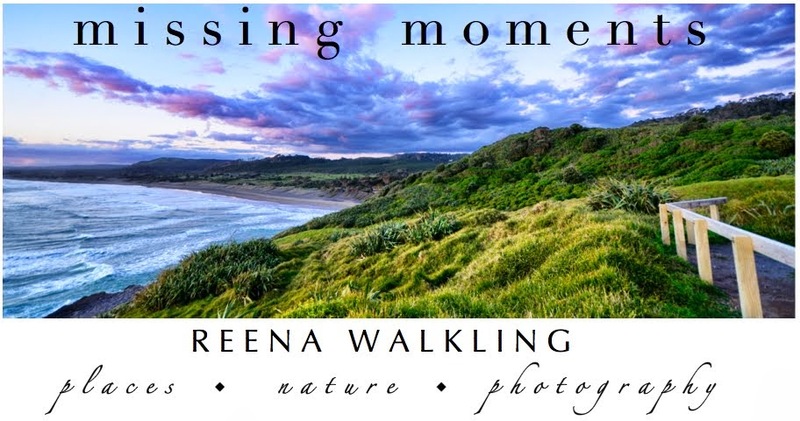 What a beautiful series of photographs this is Reena! he's so pretty. i love the colorful detail in those tiny, green feathers. Reena, my hat is off. It surely doesn't get more vivid than that. Amazing! You give me great treats with your hummingbird images - love them so much. And the words so sweet. P.s. I hope squirrel Momma and babies are all safe and well. 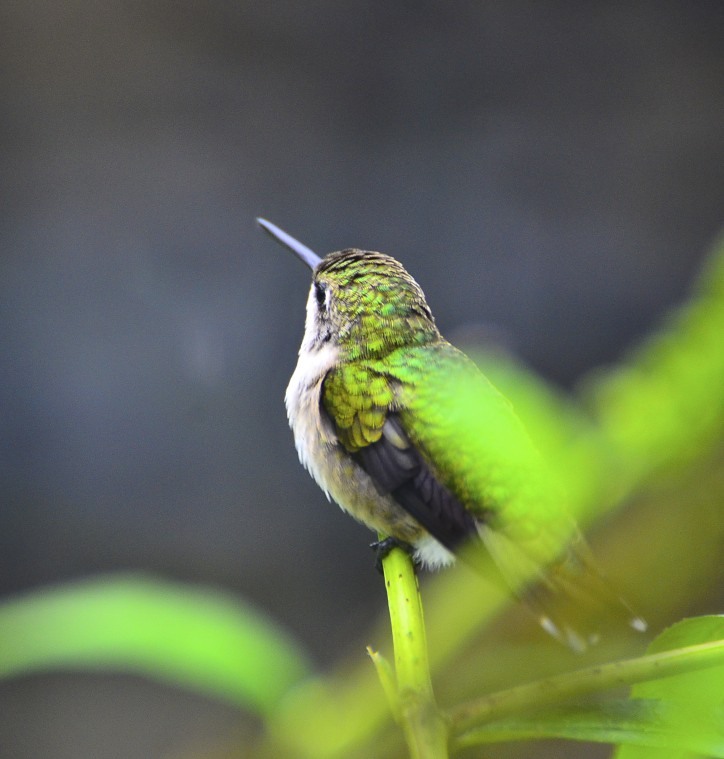 Beautiful photos of a Hummingbird. Picture Perfect! And green is my favorite color. He/She is GORGEOUS. I have to find other words to describe things, I tell ya. Cheers renna!! As for my camera in the kayak...plastic trash bag. Not very scientific, but so far it has worked. I think maybe my "behind the camera" post next week should be about the camera in the kayak. I have never figured out where my humming birds perch. I only see them in motion. Wonderful shots! They are fiesty aren't they! i love hearing their chirpy chatter up in the canopy of trees. no rest for the weary! congrats on your POTW, dear Reena! WOOT .. congrats on the POTW over at Hilary's!!! Congratulations on being a recipient of the POTW award. Bravo!!! Beautiful green. Very worthy of the POTW award. Well done.